The hunt is on for Grosvenor Casinos as it’s about to embark on its Easter adventure, searching for the next 7 players to defeat the Beast. The Easter Beast is one of the three unique seasonal specials hosted by Grosvenor Casinos. A No limit tournament that runs simultaneously across 7 UK regions featuring a £100+15 buy-in and a £20,000 guarantee. Day 1’s run throughout each region before all qualifying players move on to Day 2 which will take place in just one of the region’s Grosvenor Cardrooms. This year Grosvenor Casinos is excited to reveal players can also qualify directly to their regional Day 2 from the comfort of their own home. 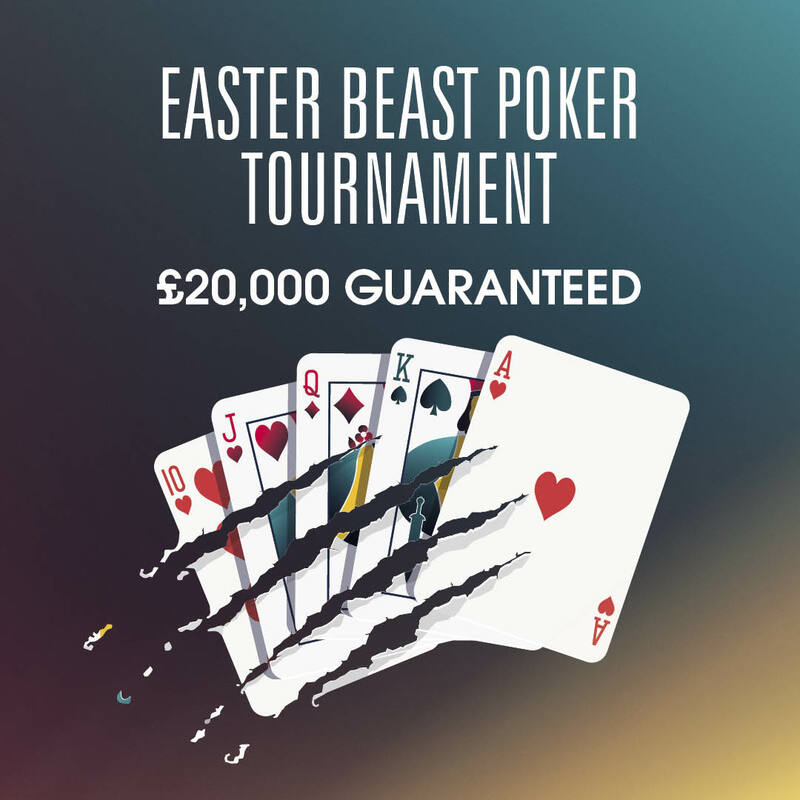 Grosvenorpoker.com will be hosting an all new Easter Beast Online Day 1 on Sunday 14th April. The 2019 Easter Beast officially kicks off with the first Day 1’s tomorrow. Click here for more information and complete schedule.